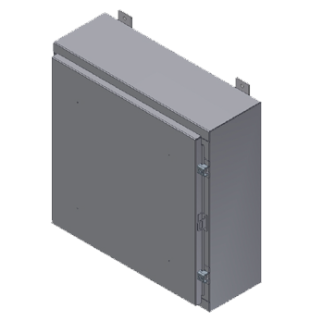 Not intended for highly corrosive environments. 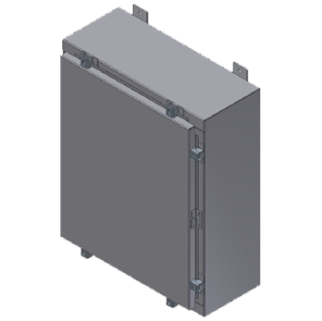 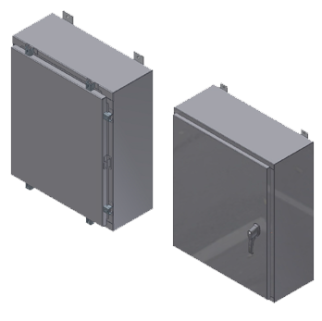 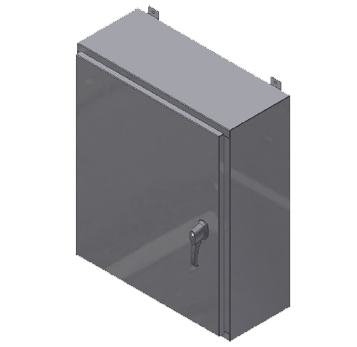 The Steeline “S-Series” Wall Mount enclosures are intended for both indoor and outdoor uses, but primarily offer strong protection against basic dust, water, oil and non-corrosive liquids. 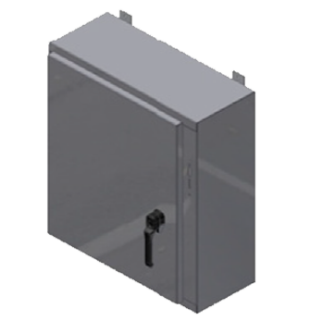 The “S-Series” Wall Mount’s seams are continuously welded and grounded down smooth. 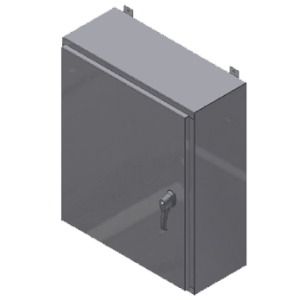 The “S-Series” Wall Mount enclosure was made with carbon steel housing and doors, ANSI 61 gray textured paint, and an optional mounting panel.